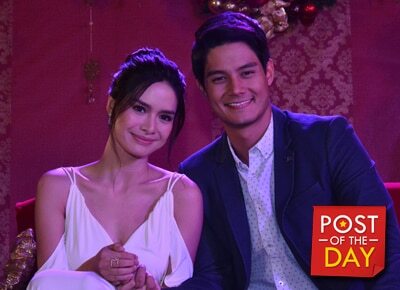 Erich Gonzales didn’t miss the chance to show her love for beau Daniel Matsunaga on his special day. Daniel is celebrating his 28th birthday today, November 28. After their successful morning series “Be My Lady,” the couple flew to New York for a vacation. "My love, who would have thought that fate would bring us together for a beautiful reason. I am thankful every single day for the blessing of you and your love. You've shown me everyday new possibilities and that dreams can come true and that's what I always pray for you. Thank you for being such a gift to me and so many of us. My heart is yours, through thick and thin and until forever. Happy Birthday Love!" she wrote in her post.